Andrew Hall is the fifth turner we would like to introduce to you and with Andrew we are now half way through introducing all of our Ten Turners Turning. 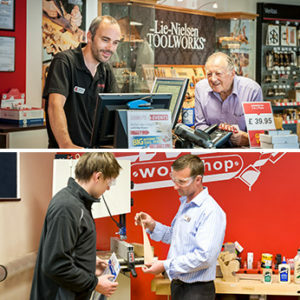 Andrew first became interested in woodturning at the age of 14 when his woodwork teacher tutored a small group of keen students in woodworking, furniture making and woodturning. On leaving school and after a five-year apprenticeship, Andrew’s teaching career began with the opportunity to teach apprentices at three colleges across the north east of England. 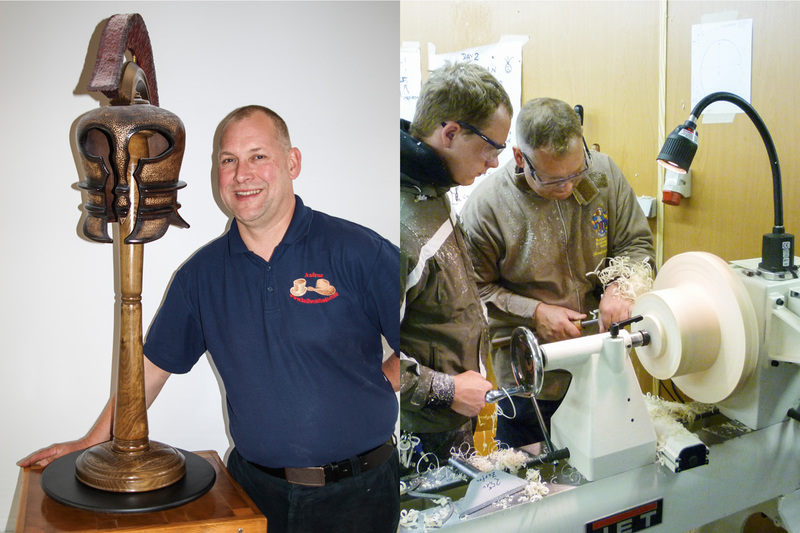 After teaching carpentry and joinery for 20 years, he decided to rekindle his love of woodturning and has now been turning professionally for 12 years. Andrew specialises in making wood hats and Corinthian helmets, hence he is known as the ‘Hat Man’. He also teaches woodturning and woodworking to small groups in his workshop. When time allows Andrew loves to turn one-off pieces for galleries and individual customers. Andrew has demonstrated throughout the UK, Germany, Belgium and Ireland. Andrew also took part in the last Strictly Woodturning in 2012. For more information about Andrew, please visit his website hallwoodhats.